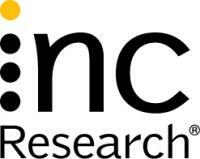 INC Research is a leading global CRO providing the full range of Phase I to IV clinical development services across six continents through our global scale and scope, broad therapeutic expertise and commitment to operational excellence using our proven Trusted Process®. At INC Research, we forge innovative and flexible strategic alliances that produce actionable data, enabling you to assess the potential of your products quickly and cost effectively while freeing your own resources to think about the next big thing. In fact, such alliances that have helped us contribute to the development of 19 of the top 20 selling medicines on the market today, ultimately improving quality of life for patients around the world.